In his first speech after the inauguration Trump tried to patch things up with the FBI and CIA. 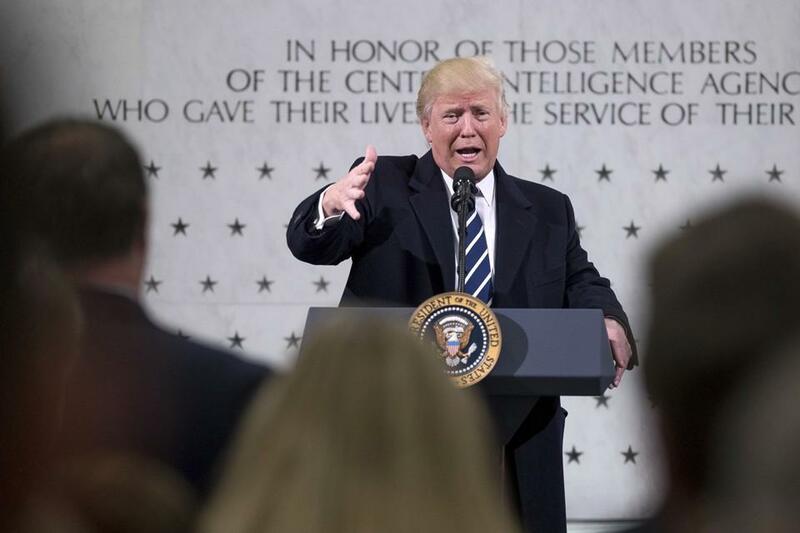 On his first full day in office, President Donald Trump spoke at the Central Intelligence Agency’s headquarters, standing in front of the Agency’s memorial to its fallen officers, and sought to mend his tumultuous relationship with Langley. Yet he never said the word “sorry,” to federal intelligence agencies for the many times he’s berated them. The Atlantic Politics & Policy Daily: Sue Me! President Trump tweeted that he hopes former CIA Director John Brennan goes to court over the revocation of his security clearance, saying that it would make it easier to show “the poor job he did” as CIA director.